Dylan Fraychineaud: Duke is lucky to be alive. UCF was the better team in the Round of 32 and was unlucky to lose. That being said, Duke will still trot out the three best players on the court. They will have to overcome a team that is familiar with them, and has the confidence to beat them. 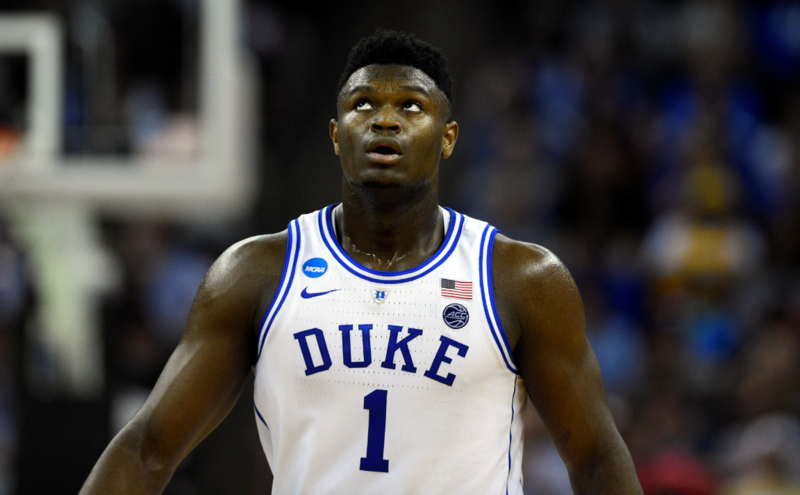 I wouldn’t be shocked to see the Hokies pull off the upset, but Zion will ultimately be too much to overcome. Harris Ahmadzai: There’s plenty of familiarity between these two teams, but the last time they met neither group was very healthy. That matchup back in February (which the Hokies won) didn’t feature Zion Williamson or VT point guard Justin Robinson. With both squads ready to go, the Blue Devils likely have a bit too much talent for the Hokies to handle. If they can get hot from three, Virginia Tech could keep it close, but Duke ends up on top after a scare in the Round of 32. Jason Fray: This contest is fascinating from the standpoint that both teams have familiarity with one another. It’ll also be the first time that the two have squared off with fully healthy rosters. Duke certainly didn’t look great versus UCF. 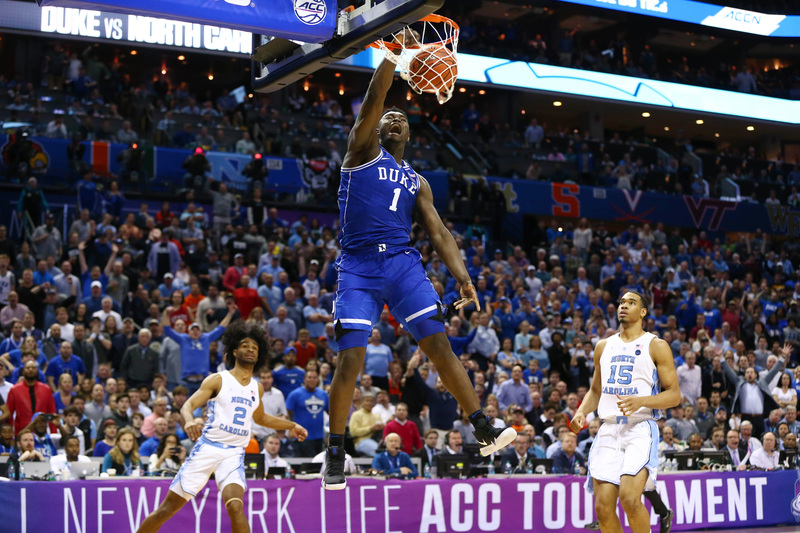 Either that contest was a wake-up call — or Duke isn’t nearly as good as everyone wants to believe. Virginia Tech has really good guard play, though it remains to be seen as to whether the Hokies can adequately slow down Zion Williamson. DF: Gonzaga was my preseason pick to win it all, so I’m not going to jump off their bandwagon now. However, Florida State will be a problem in this game. The Seminoles have won 16-of-18, with their losses coming against Duke and North Carolina. This game should come down to the final minutes, but I like Gonzaga’s frontcourt winning out in the end. HA: There isn’t a team in college basketball that can definitively say they are playing better than Florida State is right now. The Seminoles have been on fire since the start of March, and are coming off a shellacking of Murray State and eventual top-3 NBA draft pick Ja Morant. The Noles force turnovers, get to the foul line, have exceptional depth, and make offenses work for every basket. The Bulldogs have looked sharp in the first two games, but Florida State’s depth, length, and experience will win out. JF: Gonzaga will not lose to Florida State for a second-straight season. Unlike last year, the ‘Zags have a legitimate shot-blocking force in Brandon Clarke. The duo of Clarke and Rui Hachimura is both physically imposing as well as efficient. Florida State really doesn’t have that one guy to take over a game. Though they field a deep rotation, Gonzaga should be able to weather the storm en route to an Elite Eight berth. DF: Tennessee’s last three games haven’t been all that inspiring. After getting demolished by Auburn in the SEC Championship, the Vols have put together lackluster performances against Colgate and Iowa. They are in real danger again in the Sweet 16. If Carsen Edwards shoots the way he did against Villanova, they will lose — but I’m not banking on it. Edwards has had a relatively bad year from the field and hasn’t been consistent enough for me to pick the underdog. HA: My faith in the Vols wanes with each blown lead. Entering the tourney, Tennessee looked the part of a title contender. Squandering second-half leads in both of their first two games has given me a cause for pause. The Vols boast one of the best starting lineups in all of college basketball, and should hold advantages at nearly every position over the Boilermakers aside from at point guard. If Carsen Edwards can replicate his dominant performance over Villanova, Purdue will stand a chance. Otherwise, Tennessee’s offensive firepower will lead them to the Elite Eight. JF: This game is a virtual toss-up. Tennessee’s brawn and brute strength is pitted against Purdue’s dynamic pace of play. Carsen Edwards went for 42 in Purdue’s demolishing of Villanova last round. After blowing a 20+ point lead, UT squeaked by another Big Ten foe in Iowa. The key in this game will be SEC Player of the Year Grant Williams (6-foot-7) going up against Purdue’s humongous center Matt Haarms (7-foot-3). Haarms will bother Williams with his length, Edwards will go off for another big game, and Purdue will be able to space the floor with its ability from beyond the arc. In a bit of an upset, I’m going with the Boilermakers. DF: Three of the best defenses left in the tournament are in the West region. The top two are pitted against each other in this matchup. These two teams aren’t separated by much, but Texas Tech does have the best player on the floor in Jarrett Culver. Both teams advanced deep into the tournament last year, so experience shouldn’t be much of an advantage for either squad. My gut is telling me to pick the Red Raiders. 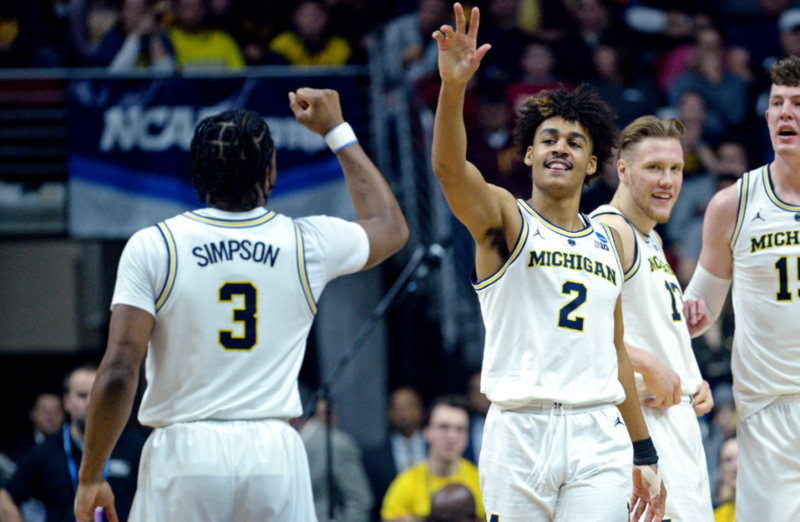 HA: Picking against John Beilein in the tournament is worrisome, but this Michigan team is nearing the end of the line. Defensively, they are impressive as any team in the nation. They get after it, and suffocate and force their opponents into troublesome situations. The lack of offensive explosion is what will ultimately be their downfall. The Red Raiders have an NBA prospect in Jarrett Culver, and a bevy of outside shooters surrounding him. After a lackluster Big 12 Tournament performance, Texas Tech looks to be in good form towards the West Regional Final. JF: Weirdly enough, this contest figures to be a defensive battle. The teams rank No. 1 and No. 2 in adjusted defensive efficiency. Michigan is buoyed by headiness, and Texas Tech is largely led by versatility and athleticism. Additionally, both teams are unequivocally rooted in toughness. One would be splitting hairs in this contest. Though Chris Beard is a very good coach, the edge here goes to Jon Beilein. For that reason, Michigan will eek past a game Red Raiders team. DF: Duck hunting season is upon us. HA: The Ducks have been the story of the tourney. Coach Dana Altman should be commended for the job he’s done while missing his star player, Bol Bol. That being said, this Cinderella story won’t have a totally happy ending. The Cavaliers are on a mission, and are flat-out better on both ends. Don’t be surprised if the Ducks score less than 40. JF: I really want to pick Oregon to win this contest. The Ducks have a decided advantage when it comes to size. Dana Altman starts four players listed at 6-foot-9. When looking at Virginia’s losses this season, they’ve all come against teams (Duke, Florida State) with similar size/athleticism profiles to Oregon. Additionally, the Ducks have won 10 in a row. With all of that said…Virginia had ample time to prepare for Oregon. The Cavaliers are the more experienced team across the board, and most certainly are motivated to make up for last year’s disaster. I wouldn’t be surprised if Oregon pulls the upset. However, I’ll give the slight edge to Tony Bennett’s crew. Kyle Guy will finally find his shot, and push Virginia one step closer to the Final Four. DF: LSU was a popular pick to be upset in the opening round. Many believed if they got past Yale, they would fall to Belmont/Maryland. Two close games, two victories for the Tigers. Sparty is in a good position entering this game. They have a Hall of Fame coach — LSU is without theirs. Cassius Winston is a cut above the rest of the players in the game. A Michigan State victory would give us all the matchup we’ve been waiting for. Bring on Coach K.
HA: I cannot understate my excitement for this game. Of all the 2- and 3-seeds, I was the least confident in what we would see from the two schools positioned in the East region of the bracket. Michigan State, without their starting shooting guard Joshua Langford, has only lost to Indiana and Illinois since February. LSU has been without their coach Will Wade for the past month. Both teams have clear flaws, but play entertaining brands of basketball. The star power will be on full display, with MSU’s Cassius Winston and LSU’s Naz Reid taking center stage, and we’ll be in for a barn burner until the bitter end. I’ll side with Tom Izzo’s experience if it’s close. JF: Michigan State looks to be rounding into form at the right time. While LSU may have more pro talent on its team, the Spartans have the advantage when it comes to both coaching and pedigree. LSU’s stud freshman Naz Reid will get overwhelmed by the likes of Nick Ward, Kenny Goins, and Xavier Tillman. Guard Cassius Winston will also be the best player on the floor. DF: After miraculously escaping its opening game against New Mexio State, Auburn absolutely obliterated Kansas in the Round of 32. The book on Auburn is well-known at this point. When they hit threes — and they shoot a ton of them — they are hard to beat. If they have an average game from beyond the arc, they are susceptible to fold. In the Sweet 16, they will fold. HA: Auburn’s path to winning this game is simple: make threes. The Tigers are one of the most prolific shooting teams in the country, and have been red hot since the start of the SEC Tournament. They certainly won’t be intimidated by the blue-blood Tar Heels after coming off a decisive victory over Bill Self and the Kansas Jay Hawks. Unfortunately, I think UNC’s size and team speed will make it difficult for Auburn’s shooters to get clean looks. 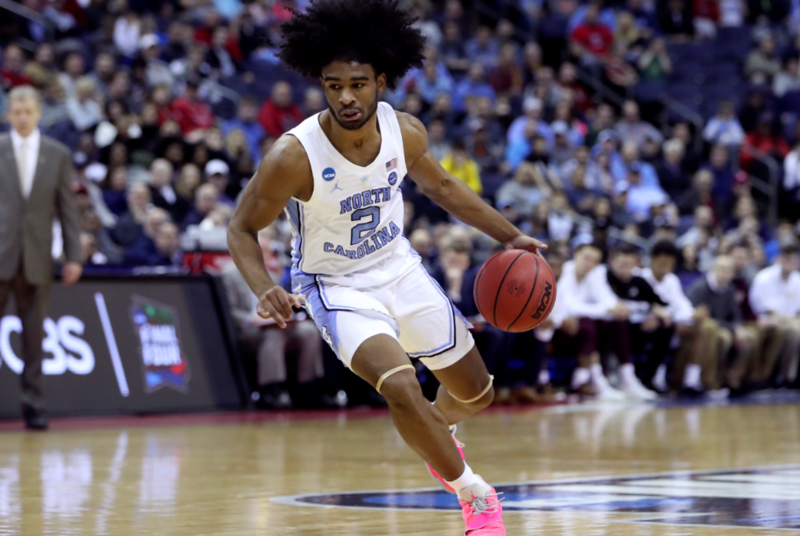 Coby White has a big night en route to a double-digit Tar Heel victory. JF: Auburn has the ability to beat anyone in the field. Bruce Pearl’s team rains threes like it’s going out of style, and has a lineup equipped with considerable length and athleticism. At the same time, the Tigers could look abysmal if they aren’t connecting on those threes. The potential volatility makes them a scary proposition against North Carolina — arguably the most complete team remaining in the field. Based upon Roy Williams’ coaching prowess — as well as the collective talent edge — the Tar Heels will win this contest going away. DF: Uttering the words, “I’m taking Houston over Kentucky,” sounds weird coming out of my mouth. But, you know what? I’m taking Houston over Kentucky. I don’t believe P.J. Washington’s foot is in good enough shape to provide a big enough jolt to the Wildcats in this game. Houston can match Kentucky’s athleticism, and should shoot far better than Wofford managed to in UK’s last game. The distractions, injuries, and lack of a top-end talent will bite Kentucky in this game. HA: Kentucky didn’t look all too impressive in their win over Wofford. Although their defense was strong, the Terriers had their looks but couldn’t get it done. On any other night, Kentucky might have been sent home. But that’s the tournament for you. Houston’s backcourt has carried them all year, but Kentucky has two pro guard prospects trying to make a name for themselves. Ashton Hagans and Tyler Herro carry Kentucky within one game of their first Final Four trip since 2015. JF: Houston is a dangerous matchup for Kentucky. Kelvin Sampson’s team is dogged in its effort on the defensive end, and is quite athletic at virtually all spots. Kentucky shot 3-of-13 from three versus Wofford. UK was able to beat the Terriers largely based upon their athletic advantages. This won’t be the case versus Houston. The return of P.J. Washington is a boon — though we don’t know how he’ll be when it comes to conditioning. Led by a pair of upperclassmen guards in Corey Davis Jr. and Armoni Brooks, Houston will pull the upset (and perhaps send John Calipari to UCLA in the process).